2017/04/25 | By Stéphanie Maude Savard | Filed in: NAB, TV. We have been talking about it for more than a decade but now it’s possible to have a complete ecosystem to produce and display it. Walking around the show floor today it was easy to see solutions from many vendors. The problem with the color gamut used in TV and video production is that the color spectrum presented is much more limited than what our eyes can perceived. The move to models that are closer to our perception of reality makes a big difference. In my view, that move is much more significant for the viewers than the move from HD to 4K. 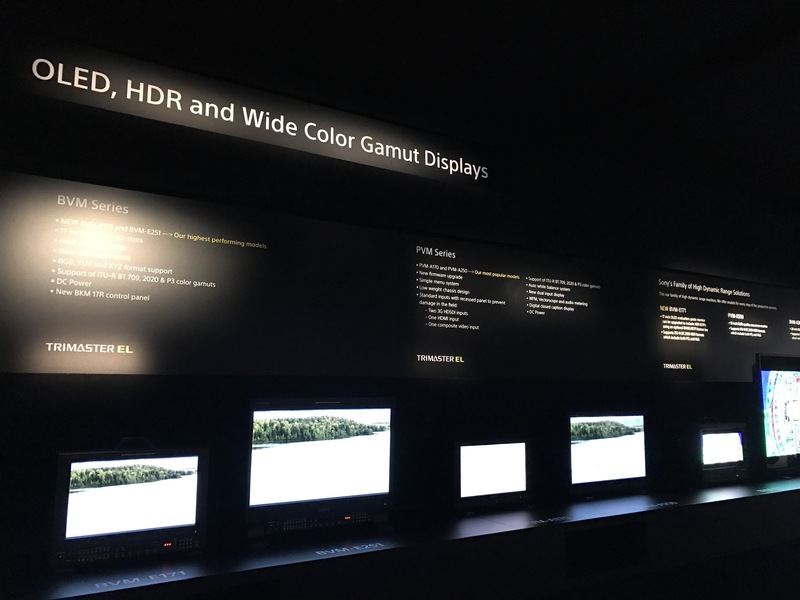 I was particularly impressed by what I saw on OLED monitors at the Sony booth. I can’t obviously not show that on a picture here (it wouldn’t give you the wide gamut) but if you have a chance, go see it! « Information: You get what you pay for.